We have been avid zoo fans for years- purchasing a membership to our local zoo yearly and visiting at least once a month. 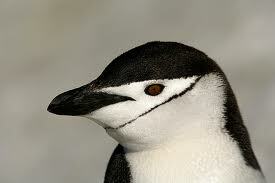 About 7 years ago, our local zoo added a new and amazingly exciting exhibit to our zoo- PENGUINS!! There are currently 11 Gentoo penguins at the zoo and my children are in love with them. They insist on viewing them first every time we go to the zoo and on the rare occasion that our visit coincides with a feeding- there is mayhem!! So I knew when the Schoolhouse Review Crew mentioned a new review containing penguins that it was a must for us. Marshall Publishing is a multi-faceted media publishing company who in the last 30 years have produced over 35 television and home video programs and sold over 300 additional independently produced special interest video programs. One of their amazing award winning productions are the As Seen On TV… Lots and Lots of… programs. One of their newest Lots and Lots of… productions is… Penguins!! And there are lots and lots of them!! We were thrilled to receive the Lots and Lots of Penguins DVD set and my kiddos could not wait to begin watching them. Included in the set was Lots and Lots of Penguins in the Wild, Lots and Lots of Playful Penguins and their Happy Feet, and a bonus DVD with the super fun Party Like a Penguin music video. We decided on the Lots and Lots of Penguins in the Wild DVD to watch first. The opening scene gives information about the program including a disclaimer that the video is not set to music nor narrated, but the focus is truly on the penguins in their natural habitat. I was amazed by the incredible footage of these majestic creatures- I felt like we had a window into their world in a way I have never seen before. We watched them dive and swim with such grace, tend to their eggs and their fluffy little ones, and even interact with other Arctic creatures. I think the fact that there was no audio included other than their natural sounds gave it sort of an aquarium feel- it was peaceful to watch them just being penguins but my children did lose interest after a little while. I kept the video on in the background of our schoolwork that day and we found ourselves looking over to see what the penguins were up to several times throughout the morning. We love these fun DVDs and I know we will be including them in a Penguin unit study we will be doing in the spring. These videos would be appropriate for any age- my 10 month old laughed and laughed at the penguins and I know I enjoyed them myself (not disclosing my age here but I am 30ishish- smile). 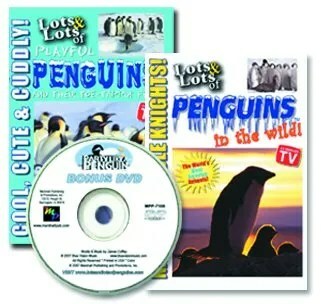 The Lots and Lots of Penguins DVD set retails for $39.90 but can be purchased right now for only $19.95. Disclaimer- I received no compensation for this post. I did receive one Lots and Lots of Penguins DVD set at no charge to assist in my writing this review. The opinions in this post are mine alone and were in no way influenced by outside sources.